Fractal diffusion front in a bidimensional medium obtained by means of identical interacting particles [Front fractal de diffusion dans un milieu bidimensionnel obtenu grâce à des particules identiques en interaction]. Initially, a set of strictly identical particles is disposed on a bidimensional square lattice. 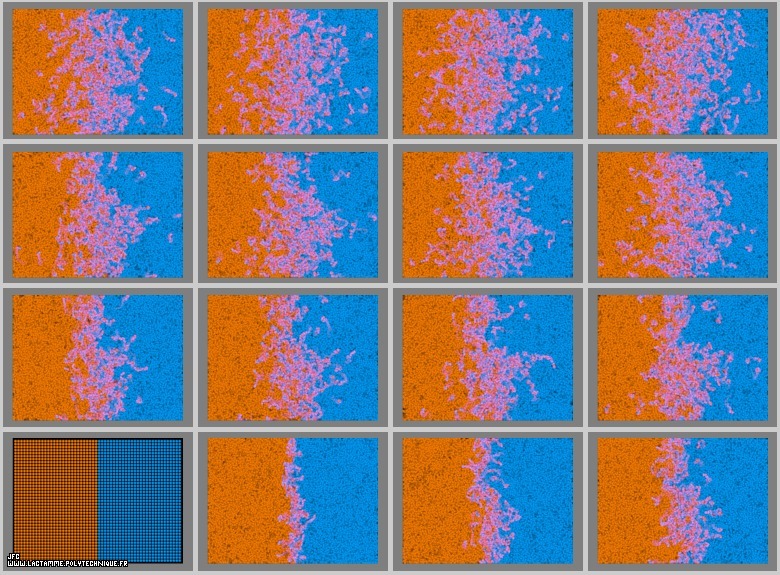 All particles have the same velocity modules when the velocity directions are randomly chosen. The Red an Blue colors are used only to tag the particles.